Ignition Switch – Common Signs Of A Failing Ignition Switch | Car News, Reviews, & Pricing for New & Used Cars. Today, the ignition switch is a complex device that powers numerous electrical and electronic systems throughout the vehicle. In fact, the newest version identifies the drivers key and allows him to activate the starting system. One major sign of a bad ignition switch is that the instrument panel will not light up when the key is turned. On the other hand, this could also be the sign of a dead battery. Always check and confirm the battery is fully charged before any repair. The ignition switch is used to lock the steering wheel when the key is removed. 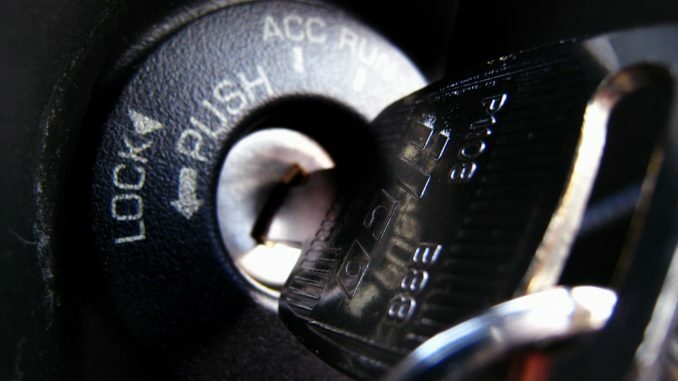 So, The ignition switch plays a role in keeping your car from getting stolen. Consequently, Without the key, the switch won’t move to the start or run positions, and will lock the steering wheel. ACC – Accessory position that provides power to electrical accessories only, not the engine. RUN – The “ON” position that provides power to the engine and electrical accessories. START – Used only to start the engine. Many cars made in the last 10 years have a push button instead of an ignition key and switch. With this design, the key fob sends a signal to the car’s computer saying it’s OK to start the vehicle. If everything looks good, the computer sends a signal for the starter motor to crank the engine. Most ignition switches begin to fail intermittently and are usually sensitive to temperature and humidity. If the switch fails during heavy accessory loads, the internal contacts may have become heavily oxidized. In any case, most ignition switches give ample warning of an impending failure under various conditions of temperature and load. 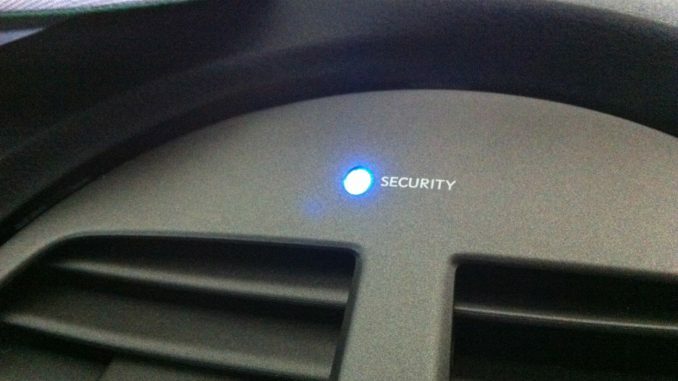 If the anti-theft light is flashing, the computer is NOT recognizing the key or key fob and is preventing the engine from starting. Reprogramming the computer may be required so the computer will correctly recognize the smart key or key fob. This is one of the most common symptoms of a bad ignition switch. Worn contacts inside the switch may cause a momentarily loss of voltage as a result of heat or vibration. As a result, Any loss of power through the switch will cause the engine to stumble, misfire or die. A worn switch can disrupt the supply of power to vehicle electronics. This can cause symptoms such as flickering dashboard lights and accessories that stop working momentarily. If you turn the key and nothing happens there’s a chance the switch is not closing the circuit. This could stop power from the battery to the starter motor. You can test this by seeing if other accessories in the vehicle work. When the key is in the on position see if the radio or power windows work.. This may be due to binding in the steering column lock. Try jiggling the steering wheel back and forth until you feel it “click” into a locked position. You should now be able to remove the key from the switch. If the key still won’t come out, the problem may a damaged column locking mechanism. On the other hand, if the switch is going bad, the engine may keep running after you remove the key. The easiest and safest way to replace an ignition switch is to take your vehicle to a repair shop or new car dealer and have them replace your ignition switch. 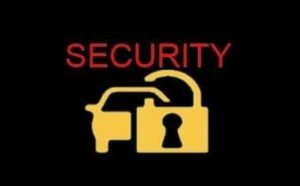 The ignition switch on some vehicles is part of an integrated anti-theft system. 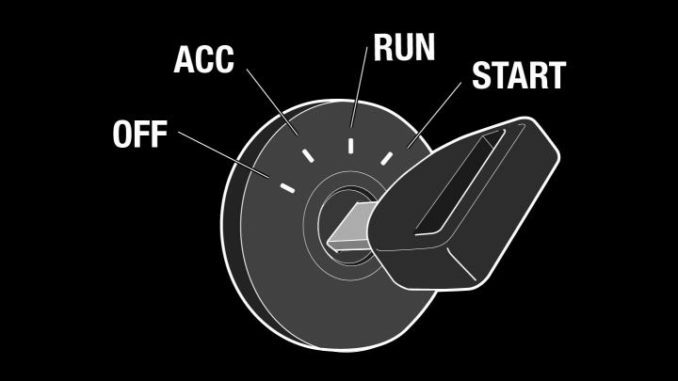 When you replace the ignition switch, you will need to have your ignition key reprogrammed. This is normally only available through your vehicle’s dealership. Ignition switch replacement usually involves disabling the steering column, which can lead to unintentional airbag deployment if done wrong. So, Ignition switches are one of the most frequently used switches on a vehicle. Worn ignition switch contacts, temperature problems, or broken springs can all cause the ignition switch to fail, preventing you from starting your car. On the road, poor ignition switch contacts could shut the engine off while driving, which could be dangerous.